Scientists warn against the dangers of frying food in sunflower oil and corn oil over claims they release toxic chemicals linked to cancer. 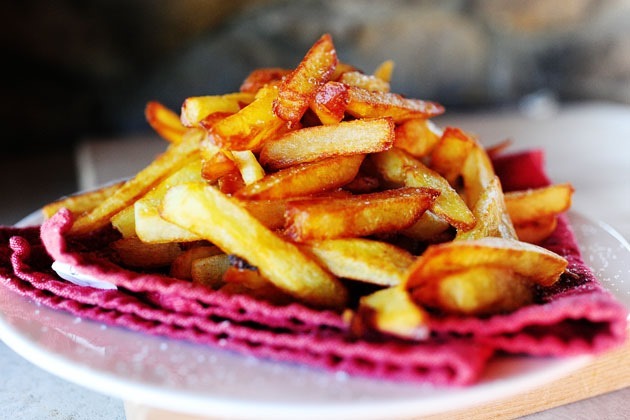 Martin Grootveld, a professor of bioanalytical chemistry and chemical pathology, said that his research showed “a typical meal of fish and chips”, fried in vegetable oil, contained as much as 100 to 200 times more toxic aldehydes than the safe daily limit set by the World Health Organisation. In contrast, heating up butter, olive oil and lard in tests produced much lower levels of aldehydes. Coconut oil produced the lowest levels of the harmful chemicals. Concerns over toxic chemicals in heated oils are backed up by separate research from a University of Oxford professor, who claims that the fatty acids in vegetable oils are contributing to other health problems. Professor John Stein, Oxford’s emeritus professor of neuroscience, said that partly as a result of corn and sunflower oils, “the human brain is changing in a way that is as serious as climate change threatens to be”. Because vegetable oils are rich in omega 6 acids, they are contributing to a reduction in critical omega 3 fatty acids in the brain by replacing them, he believes. The findings are contained in research papers. Prof Grootveld’s team measured levels of “aldehydic lipid oxidation products” (LOPs), produced when oils were heated to varying temperatures. The tests suggested coconut oil produces the lowest levels of aldehydes, and three times more aldehydes were produced when heating corn oil and sunflower oil than butter. Prof Grootveld said: “This major problem has received scant or limited attention from the food industry and health researchers.” Evidence of high levels of toxicity from heating oils has been available for many years, he said. Health concerns linked to the toxic by-products include heart disease; cancer; “malformations” during pregnancy; inflammation; risk of ulcers and a rise in blood pressure.